Feb. 4, 2017, 8:03 a.m. The Department of Homeland Security said Saturday that it had suspended "any and all actions" related to President Trump's travel ban on immigrants from seven mostly Muslim countries, as well as its temporary halt on refugee resettlements. 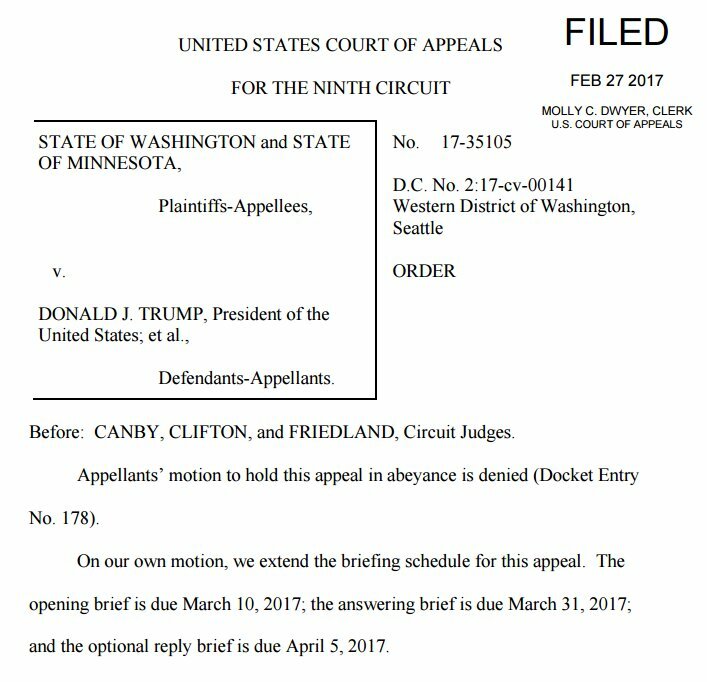 The move came after a federal judge in Seattle issued a temporary restraining order against the major parts of Trump's executive order, effective nationwide, in response to a lawsuit filed by the states of Washington and Minnesota. "DHS personnel will resume inspection of travelers in accordance with standard policy and procedure," the department's statement said.